My apologies fo going AWOL on you, you must be sick of my face! I’ve been busy sewing my sister’s quilt and I started making new place mats for fun. 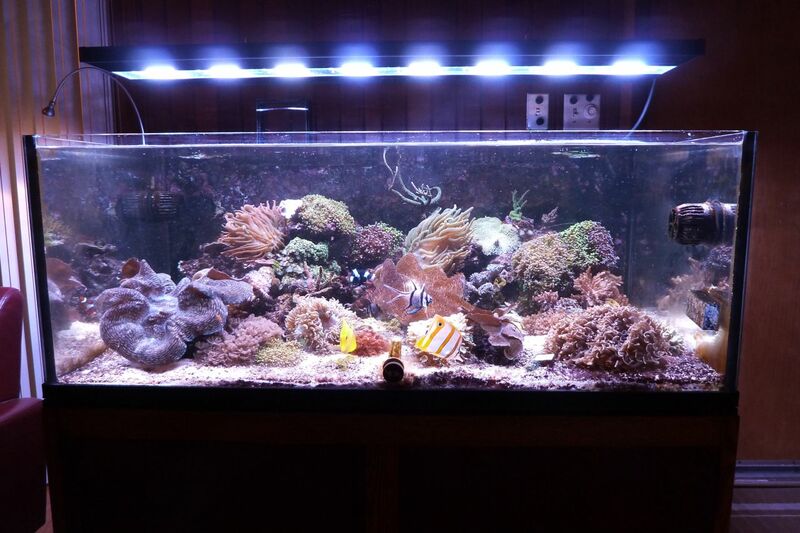 We’ve also decided to sell off our big saltwater aquarium. Work and commuting takes up a lot of our time and although we love the tank, it’s difficult to go anywhere on vacation for more than a few days. We don’t have many friends in our area knowledgeable enough to care for it while we’re away and if anything were to go awry, it would be a very expensive loss. I’ll be back next weekend to give you a quilty update! This entry was posted in Quilting and tagged saltwater aquarium by Tabatha. Bookmark the permalink.